Thursday, October 25, 2018 by: Isabelle Z. 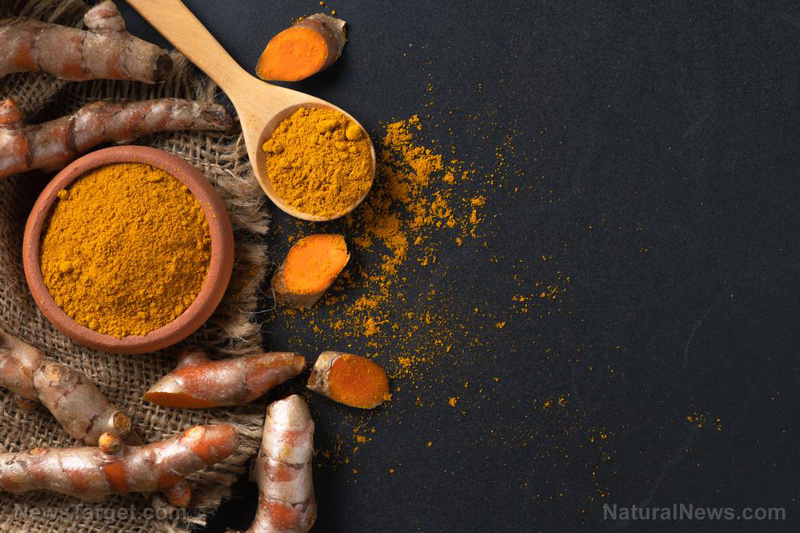 (Natural News) Have you been reluctant to get on board the curcumin train? This compound and the spice that it’s found in, turmeric, is appearing everywhere these days. You’ve probably figured out that it must be good, but if you’re wondering what makes it so special, there is no simple answer. That’s because there is scientific evidence that curcumin has potential therapeutic use in more than 700 different conditions. Here’s a look at a few verifiable reasons why you might want to give in to the curcumin hype. One of the biggest reasons curcumin is in the spotlight is because of its anti-cancer effects, as Green Med Info points out. A review in the Journal of Current Problems in Cancer found that curcumin boasts anticancer affects in several stages of the illness, including the formation and growth of cancer, its spread, the formation of the blood vessels that tumors depend on to survive and grow, and the safe death of cancer cells. Not only is it great on its own, but the review also found that it raises the efficacy of radiation and chemotherapy while protecting people from the side effects of such treatments. It can kill cancer stem cells and has been shown to help in a wide range of cancer types, including stomach, breast, skin, cervical, liver, prostate, stomach, and colon cancer. Another all-too-common health problem these days is type 2 diabetes. One sensational study that was published in the journal Diabetes Care found that curcumin has a 100 percent efficacy rate in stopping patients with prediabetes from going on to develop full-blown type 2 diabetes. That study saw more than 200 prediabetics being given a placebo or a 750 mg curcumin supplement twice per day over the course of nine months. While more than 16 percent of those who took the placebo ultimately developed type 2 diabetes, not even one of those who were given curcumin did. Studies show it can improve beta cell function and lower glucose as well. One of curcumin’s more surprising abilities is alleviating depression. One study found that patients with a major depressive disorder who took 1g of curcumin for eight weeks noted significantly lower depression than those who had been given a placebo. Other studies have shown that curcumin can help improve the efficacy of antidepressants, which are notoriously ineffective for many people. There are a lot of ways that curcumin can enhance heart health. First of all, it lowers your cholesterol and triglyceride levels. It can prevent blood platelets from sticking to one another and help protect against atherosclerosis. It has also been shown to help blood vessel health and blood pressure. One study even found that it was as beneficial as exercise on sedentary postmenopausal women’s blood pressure and blood vessel elasticity. Brain health has been getting a lot of attention in recent years as the prevalence of dementia increases. Studies have found that curcumin supplementation can cause significant improvements in people’s working memory, levels of fatigue, happiness and calmness. Other studies have shown that it improves attention and memory overall. This effect is likely caused by its ability to decrease tangle accumulation and plaque in the brain. One very interesting study that was reported in the Clinical Gastroenterology and Hepatology Journal in 2015 found that curcumin supplementation enabled ulcerative colitis patients who had not been responding to the mesalamine drug to go into clinical remission. Another study showed that it may help those with inflammatory bowel disease. This list is far from complete. There are hundreds of other conditions that curcumin supplementation can help – and that’s exactly why it has become so trendy. Considered safe in most people and inexpensive to boot, it’s easy to see why this powerful compound is so popular!